TEXAS: Cruz And O'Rourke Agree To Three Debates - Joe.My.God. 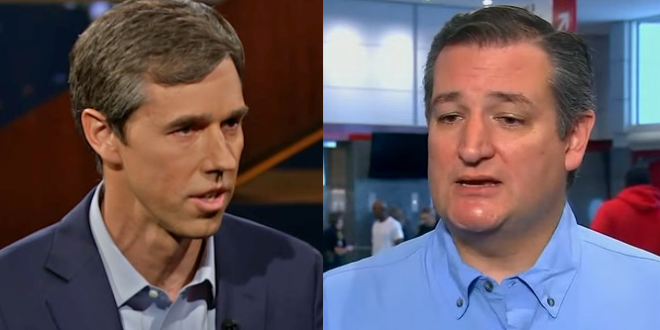 U.S. Sen. Ted Cruz, R-Texas, and his Democratic challenger, U.S. Rep. Beto O’Rourke of El Paso, have agreed to three debates before Election Day. Announced Friday by both campaigns, the schedule calls for debates Sept. 21 in Dallas, Sept. 30 in Houston and Oct. 16 in San Antonio. Each event will be an hour long and vary in topic and format. We’ll live-stream the debates here, of course.